The Bodleian Libraries have started the process of loading links into SOLO for Oxford books scanned as part of the Google Books project. These are being loaded in batches over the next few weeks, and we anticipate that there will be some 300,000 links to scanned versions of Oxford books available through SOLO by mid-March. Google scanned several hundred thousand books from Oxford’s collections, including many from the VHL stack. The books scanned were all out-of-copyright, mostly from the 19th century. Please see http://www.bodleian.ox.ac.uk/dbooks/ for more information on Oxford’s participation in the Google Books project and how these scanned versions will be findable and accessible in SOLO. Bodleian Libraries is consulting with staff and students of the History Faculty over the proposal to transfer the existing services and collections of the History Faculty Library to the Radcliffe Camera during the Long Vacation 2012. Your library: services and collections centred in the iconic Rad Cam. Borrow from Lower Camera. Your books, journals and databases: More funding for books, journals, and databases. ability to fully fund the move and improvements to working environments. 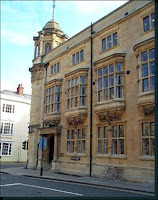 For more information about the proposal and the consultation, please see the History Faculty Library website at http://www.bodleian.ox.ac.uk/history/about/hfl-move. The HFL is also regularly updating their blog with news about the consultation at http://historyatox.wordpress.com. VHL readers may be interested in the following Special Seminar, to be held on Wednesday 22 February (16.00-17.30) at the Rothermere American Institute. The American Historical Review (AHR) is often regarded as the leading history journal of the Anglophone world. Certainly it has the highest ‘impact factor’ among history journals, according to the Journal Citation Reports from Thomson Reuters, which measure how often articles are peer-cited. As the official publication of the American Historical Association, since 1895 it has been the journal of record for the history profession in the United States – the only journal that brings together scholarship from every major field of historical study. The most recent issue, for example, includes articles on piracy in the Indian Ocean, colonial governance in three frontiers of the British Empire, the understanding of ‘freedom’ in nineteenth-century Japan, and US imperialism, and an AHR Conversation on the circulation of information across time and space. Former editors Konstantin Dierks and Sarah Knott (RAI Senior Visiting Research Fellows) will lead an informal discussion about the inner workings of the AHR, from the journal’s ambitions to its article review process to its book review practices. All are welcome. WISER: Finding stuff – Books etc on SOLO (Wednesday 22 February 2.00-2.45) – A short 45 minute session introducing tips and techniques for searching SOLO for books, journals and other materials in Oxford Libraries. We will cover both basic and advanced search techniques and also look at placing hold requests for items in the book stacks and some of SOLO’s personalised features such as the e-shelf and saved searches. The session will take place at Oxford University Computing Services – please book your place online. WISER: Finding stuff – Journal Articles (Wednesday 22 February 2.45-4.00) – This session will focus on using bibliographical tools and indexes to find high quality papers in your research area. We will look at how to find reliable bibliographical databases in your subject and how to search them effectively to optimize your results. The session will take just over an hour and will include time for you to practice. Please book your place online. 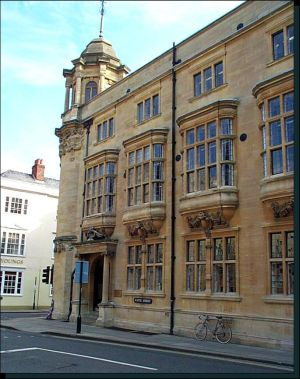 These workshops are open to Oxford graduate researchers in week 8 of Hilary Term. Please attend the session for your division or subject area. > Find out more and book your place. (Weblearn – Oxford SSO needed to access). An introduction to tools such as Web of Science and Scopus for calculating research impact in the Sciences and Social Sciences. How to find journal Impact Factors, calculate your h-index, find ‘hot’ papers and authors, and compare research output of individuals, institutions and countries. ProQuest History Vault Black History collections [until 10th February]:1.3 million pages of primary source documents relating to the Civil Rights movement. ProQuest Vogue archive [until 16th February]: A complete searchable archive of American Vogue, from the first issue in 1892 to the current month, reproduced in high-resolution color page images. Black history collections on fold3.com [until the end of the month]: A variety of 19th and 20th century records. These kind of brief windows of accessibility do open up from various providers every now and then, and can be a great way to get hold of material that is usually locked away only to subscribers. Keep an eye on the blog, or our Twitter or Facebook, for alerts whenever we hear of one. To tie in with the annual Congress to Campus event being held at the Rothermere American Institute on Monday 6th February, we are displaying a selection of items from the Philip & Rosamund Davies US Elections Campaigns Archive until next Friday. This archive, donated to the VHL by Professor Philip Davies (Eccles Centre, British Library), contains campaign materials collected from US elections at all levels. The majority of the material dates from the later 20th century, but there are many examples of older items, some of which we have included in this exhibition, such as 19th and early 20th century campaign buttons and ballots from the Civil War era. As well as buttons, posters, bumper stickers, flyers and leaflets, the collection contains many other examples of campaign ephemera – t-shirts, caps, dolls, rain bonnets, jewellry, bars of soap, rain bonnets, playing cards and commemorative plates. Professor Davies continues to add to the archive with each election, and an archivist is currently in the process of cataloguing it in full so that it can be made available to researchers. Congress to Campus runs throughout the US and UK and brings bipartisan pairs of former Congressmen to colleges and universities to talk to students and impart their insights into the inner workings of US politics. The RAI has hosted the Oxford event for the past few years, offering the opportunity to local sixth form students as well as those studying at the University.